We’re excited to begin usingÂ the sunburst logo!…but is this correct? Itâ€™s a question we often get at Smithsonian Affiliations, and one we are always eager to chat about. With a 95% recognition rate, the Smithsonian sunburst is one of the most widely recognized brands in the U.S. And Affiliates are the only organizations authorized to use these Smithsonian branding materials! An exclusive benefit of being a Smithsonian Affiliate, your organization may use these logos and a special tagline for marketing materials, brochures, and signs. So as a refresher or a quick intro for our new Affiliates, hereâ€™s an overview of the logos you are approved to use, how to use them correctly, and a few other tips. What logos are approved to use? 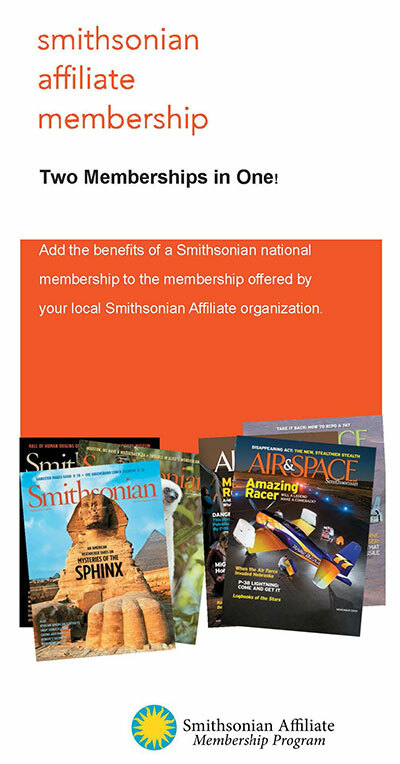 All Affiliates are strongly encouraged to use the Smithsonian Affiliate logo. This logo may be used on all marketing materials, websites, newsletters, brochures, and more. **Please contact us directly if your promotional material coincides with any fundraising, donation, or giving event as different rules apply. Only those Affiliates participating in the Smithsonian Affiliate Membership Program may use this logo. 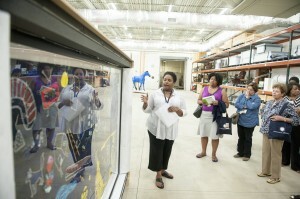 If you are not including a Smithsonian membership in your own membership program offerings, ask us how you can begin! What logos are not approved for use? We have phased out the use of Smithsonian Institution Affiliations Program logo. If you are still using this, please contact us for updated materials. In addition, Affiliates should no longer use the Smithsonian Affiliations logo in favor of the new, Smithsonian Affiliate logo. Our office will continue to use the Smithsonian Affiliations logo, but to provide you with a clearer representation of your organization in our national network of Affiliate partners, we ask you only use Smithsonian Affiliate in the future. Where do I find the logos? You can find the Smithsonian Affiliate logo on the Smithsonian Logo Guidelines page under Unit Logos. 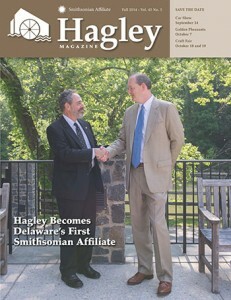 On this page, you can download the Smithsonian Affiliate logo package and browse the logo guidelines. 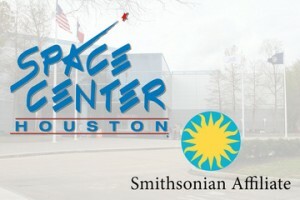 Again, please do not download the Smithsonian Affiliations logo; it is for office use only. If you cannot find a file type you are looking for, contact us and we can help. 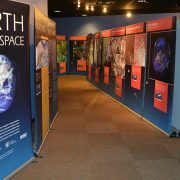 Smithsonian Affiliates are encouraged to use the tagline In Association with the Smithsonian Institution on building signage, websites, press materials and more. 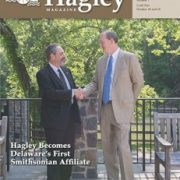 In addition, we encourage adding â€œa Smithsonian Affiliateâ€ to your press boilerplate to easily distinguish your organization as part of this unique network. May I use the logo and tagline together? No. The logo and tagline are two separate marketing items for Affiliate use. They cannot be used together. However, you may use the tagline under your logo and Smithsonian Affiliate logo at the bottom of your marketing material. The logo and tagline may not be used in the same sentence. Are there any specific tips for Affiliates? Anytime you are considering using the tagline or logo, please forward a draft to Elizabeth Bugbee or your National Outreach Manager. All mentions of the Smithsonian must be approved before being used. The Smithsonian is always Institution, never Institute. The sunburst must never be black. The logo may not be used as part of a sentence. Visit our Logo/Tagline section of our website for more examples. 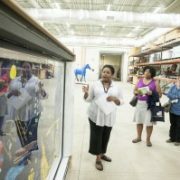 As brand ambassadors to the Smithsonian, you are the connection to the national brand in your own community. Aligning yourself with this trusted and widely recognized brand can easily increase your recognition and raise awareness of your organization in our national network of Smithsonian partners. For questions, approval, and anything else, please contact External Affairs Coordinator, Elizabeth Bugbee (202.633.5304). Affiliate staff enjoy a behind-the-scenes tour at the 2014 Affiliations conference. Mark your calendars now for the annual Smithsonian Affiliations National Conference, June 15-17, 2015.Â The conference strives to engage Affiliate and Smithsonian colleagues in dialogues about current issues, best practices and collaboration potential. Most conference sessions feature both Affiliate and Smithsonian staff, and highlight timely and relevant topics facing the field today.Â The staff of Affiliations is in full planning mode now, and would love to hear from you.Â Below are some topics we have been discussing as possible sessions and/or tours.Â What would you add to the list?Â Can you lend expertise or perspective to any of the topics? Thanks in advance for helping us plan the best conference possible! Millenials â€“ how to attract and engage them, and make them members. Visiting Professional alumni â€“ what did they do with their SI experience? Music Initiative â€“ what SI and Affiliates are doing, and how can we do it together? Crowdsourced projects â€“ can we grow them together? If you have other ideas to share for the 2015 conference, please contact Elizabeth Bugbee at bugbeee@si.edu. Even though the weather is turning chilly, Affiliates are keeping things hot with events from coast to coast. General John Dailey, Director of the National Air and Space Museum, will be inducted into the International Air and Space Hall of Fame at the San Diego Air and Space Museum, 11.1. 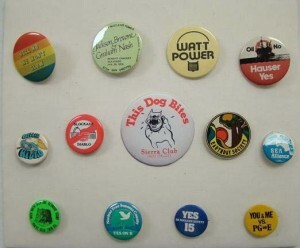 The Sonoma County Museum will present Hole in the Head: The Battle for Bodega Bay and the Birth of the Environmental Movement exhibition, featuring 13 protest buttons on loan from the National Museum of American History, in Santa Rosa, 11.2. The National Inventors Hall of Fame will participate in the Smithsonian Innovation Festival in Washington, 11.1-2. 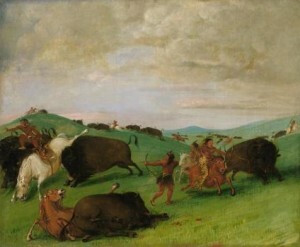 Organized by the High Museum of Art in Atlanta, an exhibition titled Rising Up: Hale Woodruffâ€™s Murals at Talladega College opens at the Smithsonian, presented by the National Museum of African American History and Culture in their gallery at the National Museum of American History in Washington, 11.7. The Heinz History Center presents jazz innovation as part of its Places of Invention ongoing project with the Smithsonianâ€™s Lemelson Center, in Pittsburgh, 11.1. Undersecretary Richard Kurin presents a talk and booksigning on The Smithsonian’s History of America in 101 Objects at the Durham Museum in Omaha, 11.4. 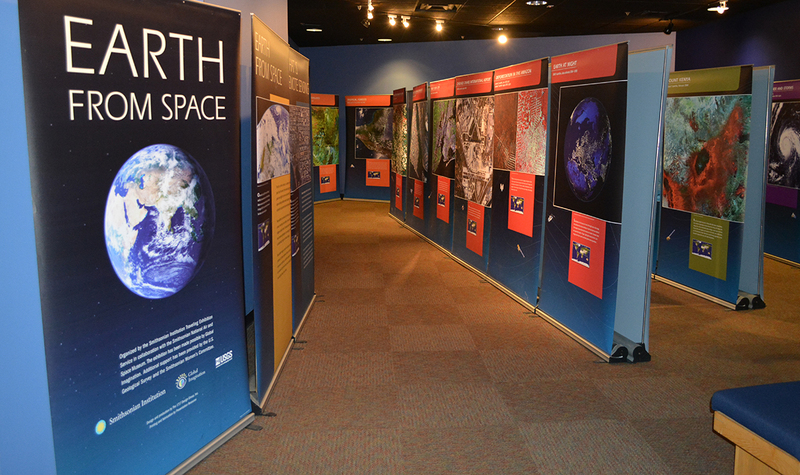 Dr. Andrew Johnston, geographer and curator at the National Air and Space Museum, presents a public talk at the New Mexico Museum of Space History in Alamogordo, 11.6. George Washington’s Mount Vernon Estate and Gardens presents The Face of the Nation: George Washington, Art, and America symposium, featuring National Portrait Gallery curator Wendy Wick Reaves and curator emerita Ellen Miles, at Mount Vernon, 11.7. 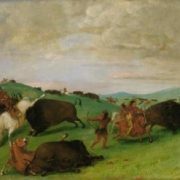 National Portrait Gallery researcher and author Warren Perry presents a public lecture on Guns, Horses, Uniforms, and More Guns: Themes of American Civil War Visual Culture at the Morris Museum of Art in Augusta, 11.13. 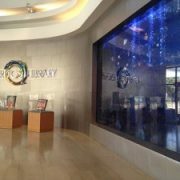 Jeff Post, Curator at the National Museum of Natural History will present a public lecture on the Hope Diamond at the Tellus Science Museum in Cartersville, 11.21. 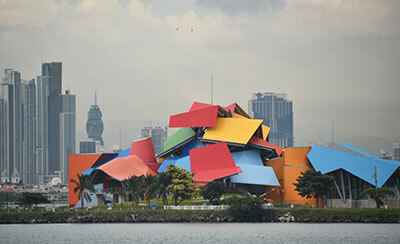 Affiliations Director Harold Closter leads a workshop on Designing Museum Budgets at the Museo y Centro de Estudios HumanÃ­sticos in Gurabo, 11.15. 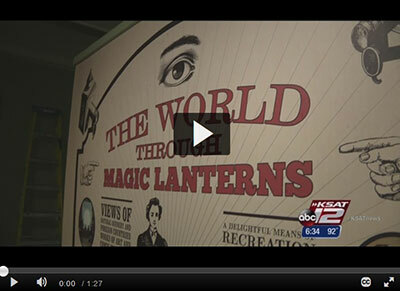 The North Carolina Museum of History will present Starring North Carolina! an exhibition of the stateâ€™s role in the film industry featuring 25 artifacts on loan from the National Museum of American History, in Raleigh, 11.15. Undersecretary Richard Kurin presents a talk and booksigning on The Smithsonian’s History of America in 101 Objects at the National World War II Museum in New Orleans, 11.18. 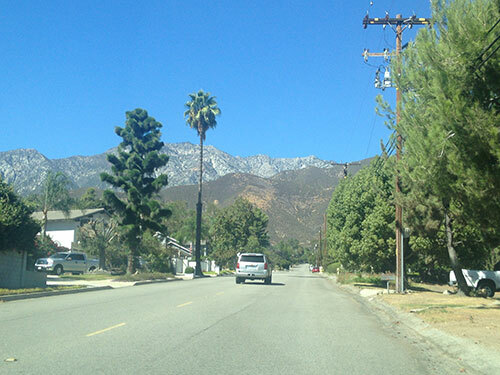 On the road in sunny California! Three and a half days, 559 miles and visits to eight Smithsonian Affiliates in southern California, only just begins to describe my recent trip to the west coast.Â I had traveled to Los Angeles to attend the opening event for Cahuilla Continuum: TÃºku, Ãvax, TÃºleka, the Riverside Metropolitan Museumâ€™s exhibition telling the story of a Southern California Native people, the Cahuilla.Â This gave me the welcome opportunity of visiting the Smithsonian Affiliates in and surrounding Los Angeles.Â The following is a recap of my whirlwind tour. I should start by saying that with 23 Smithsonian Affiliates, California has more Smithsonian Affiliates than any other state in the union.Â Most states have three or four (and we have yet to Affiliate with a few states) but the diversity of Californiaâ€™s cultural landscape is certainly well represented in our west coast partners. 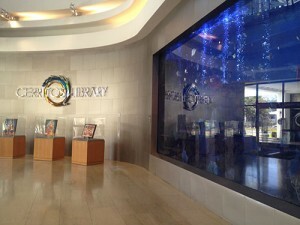 Cerritos Library, is a library (and Smithsonian Affiliate) like few others.Â There is an aquarium, reading labs, exhibition spaces and an art collection. It was terrific to see the community using this resource so thoroughly. 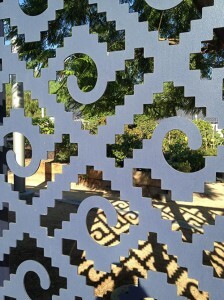 The garden at LA Plaza through the grey metal gates. On day 2, I visited LA Plaza de Cultura y Artes, a wonderful space in a historic building- often so rare in the west.Â The garden takes advantage of the hot California sun to teach students about nutrition and agriculture. 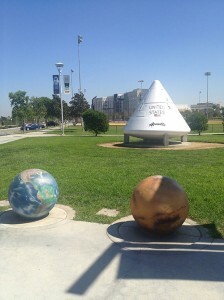 The Apollo Boilerplate at Columbia Memorial Space Center, on loan from the National Air and Space Museum. In the afternoon, I visited the Columbia Memorial Space Center, home to an Apollo â€œBoilerplate,â€ on loan from the Smithsonian National Air and Space Museum.Â Then I headed towards northeast toward Alta Loma to visit one of our newest Smithsonian Affiliates, the Sam and Alfreda Maloof Foundation for Arts and Crafts.Â The visit to this woodworker artistâ€™s home gave me a better understanding of the huge impact his work has had in the art world. 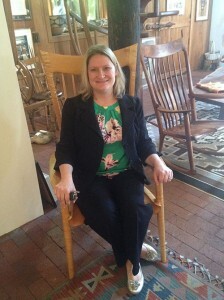 Here I am in a Sam Maloof chair. The next day, my morning began with a visit to a school on an Indian reservation; the Riverside Metropolitan Museum had brought two scholars from the Smithsonian National Museum of the American Indian as part of their annual Smithsonian Week in Riverside.Â The students asked great questions and shared their own experiences with the visitors from DC.Â We stopped in at the Agua Caliente Cultural Museum in Palm Springs, also a Smithsonian Affiliate, to see their latest exhibition, Through You, Our Ancient Leaders, We Became:Â Birth of the Agua Caliente Band. 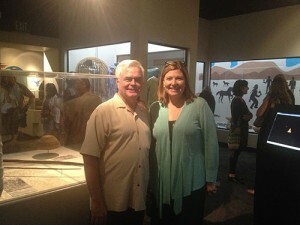 Michael Hammond, Director of Agua Caliente Cultural Museum and Sarah Mundy, Director of Riverside Metropolitan Museum in front of the display case holding the artifacts on loan from the National Museum of the American Indian. Students explore study collections after Jill Norwood and Emil Her Many Horses from the National Museum of the American Indian spoke to students during Smithsonian Week in Riverside. stopped in on two Affiliates: Millard Sheets Art Center in Pomona and the Western Science Center in Hemet, both doing great work connecting their communities with educational resources.Â I ended my day with the event that had brought me to California: the Riverside Metropolitan Museum was celebrating the opening of their Cahuilla Continuum exhibition, which included three artifacts from the Smithsonian National Museum of the American Indian.Â They were deservedly proud of their work and we were proud of the wonderful partnership between Riverside (and all of the terrific Affiliates in California) and the Smithsonian.